A wine cellar door serves more than just an aesthetic feature of your storage structure. It also ensures that the temperature and humidity inside the space is maintained at the ideal levels. This is why wine room owners should invest in having a heavy-duty door built by a professional cellar builder. All wine storage structures must be tightly sealed so that the temperature and humidity inside are kept constant with minimal to no fluctuations. 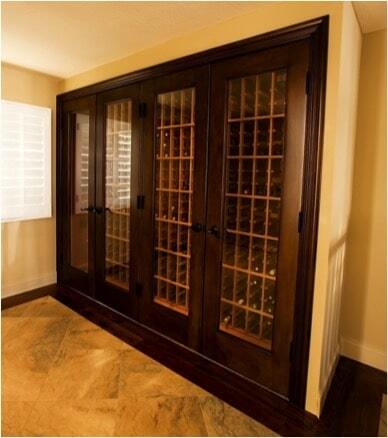 No custom wine cellar can function properly without a correctly installed door. Keep your collection safe from damage by ensuring that all the vital elements of an effective wine storage room are complete, including a high-grade cellar door. Imagine building a beautiful wine cellar with a state-of-the-art refrigeration system. The cooling equipment costs thousands of dollars. 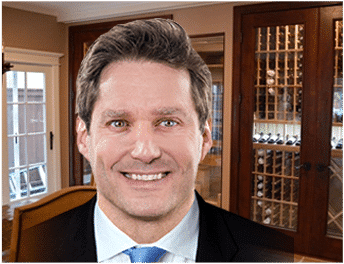 You’ve also hired a custom contractor to build your gorgeous wine room with magnificent bespoke racks of mahogany or iron. Picture your storage room with spectacular stage lighting that seems to sprinkle stardust on your wine collection. Then, just below the awesomely ornate door that has been attached to your multi-thousand-dollar wine storage project–there’s a crack! Although the fissure on the door is small, it allows air in and out of the wine cellar. This tiny error might seem insignificant, but it destroys the temperature and humidity balance in your wine room. After some time, you find out that all the wine in your collection has gone bad. What a waste! How Important is a High-Grade Custom Wine Cellar Door? A high-grade cellar door is an essential part of an effective wine storage structure. A quality door can keep the wine room tightly sealed so that the climate conditions inside do not fluctuate constantly. A low quality door can adversely affect the maintenance of the temperature and humidity in a wine room and put your collection at risk of spoiling. A lot of people do not see the true value of a quality wine cellar door. There are even some contractors that don’t understand the importance of a having high-grade door built. It is imperative to remember that no wine storage room can function properly without a reliable door installed. A door specifically made for wine cellars is necessary to maintain the right conditions in your wine storage structure. Why would you invest all that money in the construction of a cellar if you can’t keep it tightly sealed? A custom built wine cellar cooling unit will allow you to control both the temperature and humidity inside the storage space. But no refrigeration equipment will be able to provide the necessary climate-controlled conditions if a heavy-duty door is not installed. A high-standard cellar door ensures that the coolness and moisture needed for wine aging are consistently kept at the ideal levels. Even if you correctly insulate the storage space with a vapor barrier, but if you have an average door mounted on it, your cellar will still fall short in providing the ideal temperature and humidity to protect your stock from damage. A door that does not tightly seal your cellar can have air leak out around its edges, underneath it, and through it. Its substandard quality will put your wine collection at risk of spoiling. Make the investment that you put into building your custom wine room worthwhile. Have a dependable door installed by a storage expert! Consult a cellar builder today. Click here! The three most important conditions you need to control in your wine storage space, whether you oversee a commercial property or a private collection, is temperature, humidity, and light. All three of these conditions can be utterly destroyed in seconds if you put in place an inferior door that is not intended for climate control. 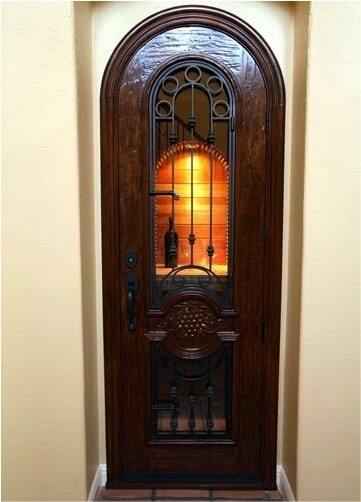 A beautifully designed door adds to the elegance of a custom wine cellar. Designs vary from traditional or classic to modern and contemporary. A Mortise and Tenon Joint is one of the earliest and resilient ways to join wooden boards together. For centuries, artisans have used this process to strengthen doors that need to have high insulation qualities, such as those that are installed in wine cellars. We have always chosen to utilize doors that have been built using this technique. This method helps us make sure that the wine storage space is tightly sealed and that any potential leakage can be prevented. We also use a new and innovative technology called Laminated Veneer Lumber (LVL) that few manufacturers offer. This is a wood product that is designed by creating multiple layers of very thin wood that are sealed together with adhesive materials. Although there is typically a perception that wood laminates are inferior to solid wood, LVL is uniquely more durable than the average wood laminate. In the case of a wine cellar door, this particular type of lamination process can build a sturdier product that can insulate your storage structure in a far more superior manner than solid wood. Moreover, LVL is more averse to warping and shrinking, which is an important characteristic to effectively maintain the humidity inside the wine room. If you already own a wine storage system, but you aren’t sure about the quality of the door, it would be wise to have one of our recommended advisers examine your property. Our experts can make sure that everything in your custom cellar is sealed properly. The expense of replacing a door is far less than the costs of gutting your room due to mold growth or of disposing of destroyed wine stock that hasn’t matured properly. Call our trusted storage advisor at +1 (323) 825-9846. If you’re looking at building a wine cellar, finding the right door is just one of the exciting design options to consider. We’ll make the process easy and fun.